Well ... this is another totally interesting picture !!! Even though in black-and-white, it only adds to the intensity and drama of this shot ! Yes, look at that 'monster cloud' ... really neat ! Yupp, ANSS ! Out with the old, and, in with the new. Thanks for sharing ... this is very intriguing. The storm rolled in over the mountains, hanging over the port. They would have to weight anchor until the storm passed. This is awesome!!!! I love the black and white! I don't know if I have this one or not. I will have to check and see! It definitely has a mysterious, almost spooky feel to it. Which is why I really liked it. 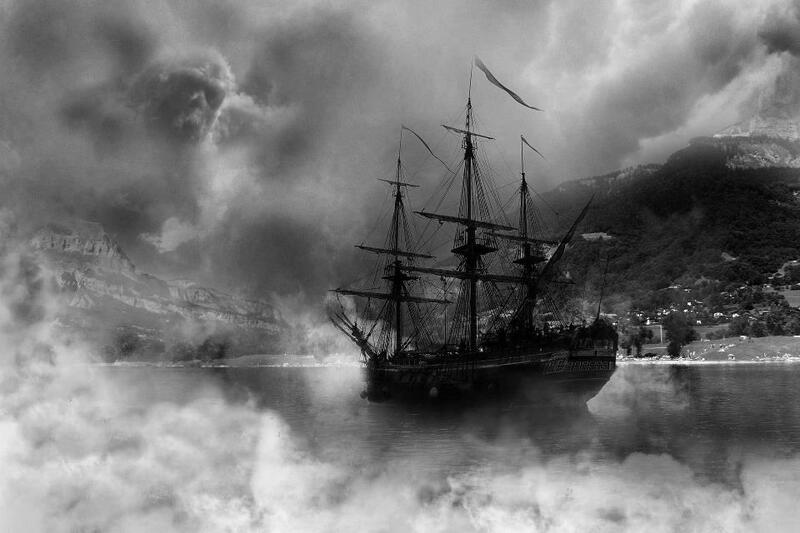 Sort of like a huge spiritual storm is about to let loose.. but the ship is ready, anchored firm to the Rock. Your blog is beautiful, MaryLu! Hello Nancee! Thanks for dropping by..